Dr. Botting began his study of the chinese martial arts at age 16 in 1981 while living in Kuala Lumpur, Malaysia. He has trained in a number of arts since that beginning, but considers the three arts he holds instructor rank in as his core: Northern Shaolin / Northern Praying Mantis kung fu, Modern Arnis, and Yang Style Taijiquan. He teaches kung fu and modern arnis at Tye's Kung Fu, and he founded the original TAMU Kung Fu and TAMU Modern Arnis clubs at the requests of GM Wang and Professor Remy A. Presas, Sr., respectively. He still occasionally teaches at Wang's Martial Arts which he has attended since 1983. He also teaches seminars for martial artists, law enforcement, and the general public outside of Tye's Kung Fu. 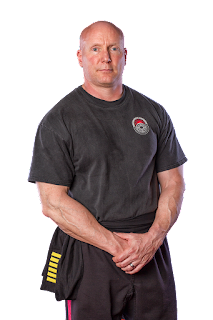 He has taught kung fu and arnis across the United States, including Texas, Virginia, Maryland, Louisiana, Colorado, Pennsylvania, California, Tennessee, Georgia, Connecticut, and in the Republic of Ireland. In 2014, Dr. Botting was honored with two Martial Arts Halls of Fame/Honors inductions, and he was recognized at the Renshi-Godan level for his arts within Bushi No Te. In July 2015, the World Modern Arnis Alliance (WMAA)recognized Dr. Botting as Lakan Tatlo in Modern Arnis, reflecting his growth and acknowledging the Professor's intent to test him for Lakan Tatlo in both 1999 and 2000 (not tested because of multiple surgeries).